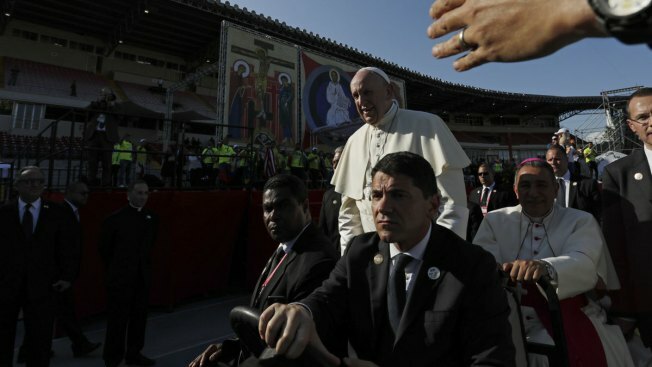 Surrounded by security, Pope Francis is driven away after a meeting with volunteers who worked at the World Youth Day events, before his departure in Panama City, Sunday, Jan. 27, 2019. Pope Francis is ruling out any lifting of the celibacy requirement for priests but says there's reason to consider ordaining older, married men in remote communities where priests are in short supply. "I think the problem should be opened in this sense: Where there's a pastoral problem because of a lack of priests," he said. "I'm not saying it should be done, because I haven't reflected or prayed enough about it. But theologians must study it." 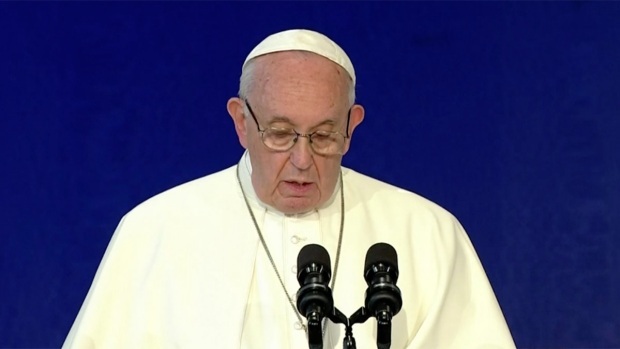 Francis' comments, to reporters on the way home Sunday from Panama, open the way for discussion about celibacy in the run-up to a big meeting of bishops from the Amazon at the Vatican in October. Brazil's bishops have long pushed for the church to consider ordaining so-called viri probati, older married men of proven virtue, to minister in remote parts of the Amazon where the faithful can go weeks or months without Mass and evangelical and Pentecostal churches are making inroads as a result. Francis was asked about the possibility that the Latin Rite church might follow the Eastern rite Catholic Church, where married men can be ordained. He ruled out an across-the-board opening, repeating a famous phrase by Pope Paul VI, who was also under pressure in the sexual revolution of the 1960s to allow married priests. "I'd rather give my life before changing the law on celibacy," Francis said. The celibacy question has been a mainstay in Catholic debate given it is a discipline, not a doctrine, and therefore can change. The church has had the tradition since the 11th century, imposed part to spare the church the financial burdens of providing for large families and to ensure that any assets of the priest would pass to the church, not his heirs. 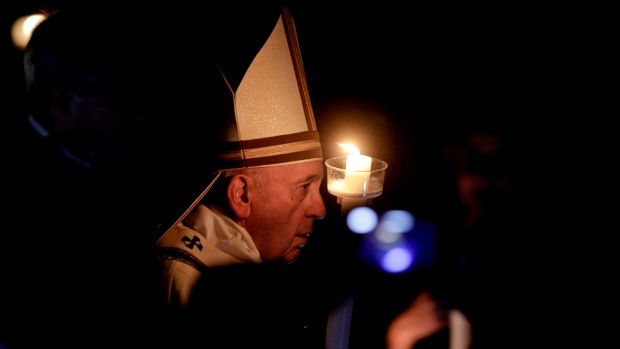 "Personally I think celibacy is a gift to the church," Francis said Sunday. "There could only be a possibility in these far, far-away places, I think about the islands in the Pacific, but it's something to think about, when there's a pastoral need, there the shepherd has to think about the faithful."